Suzanne Gamble: Youtuber/Blogger Made Me Buy It! So one early morning in July, on the way to work, I was just casually browsing Twitter when I saw a tweet for Miss Budget Beauty, one of my favourite bloggers/youtubers. (Blog ,Youtube & Twitter). She was tweeting to tell everyone that due to it being national lipstick day. Debenhams were having a sale on their lipsticks! So by 'accident' I ended up on Debenhams website looking through the lipsticks that had been discounted. Now I've never bought a 'higher end' lipstick, I've never seen the need to spend extra money on a lipstick when I'm more than happy with what the high-street brands have to offer me. 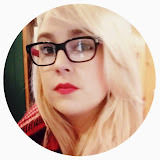 However, I saw that Mac lipsticks were only £10.50 instead of the usual £15.50, so I decided to purchase my first two Mac lipsticks and I am blaming Miss Budget Beauty! Recently I have been loving muted pinks and baby/softer pinks, I think these shades go so well with my skin tone and hair colour. So after a quick Google Images search for swatches of colours, I decided to go with Angel and Please Me. 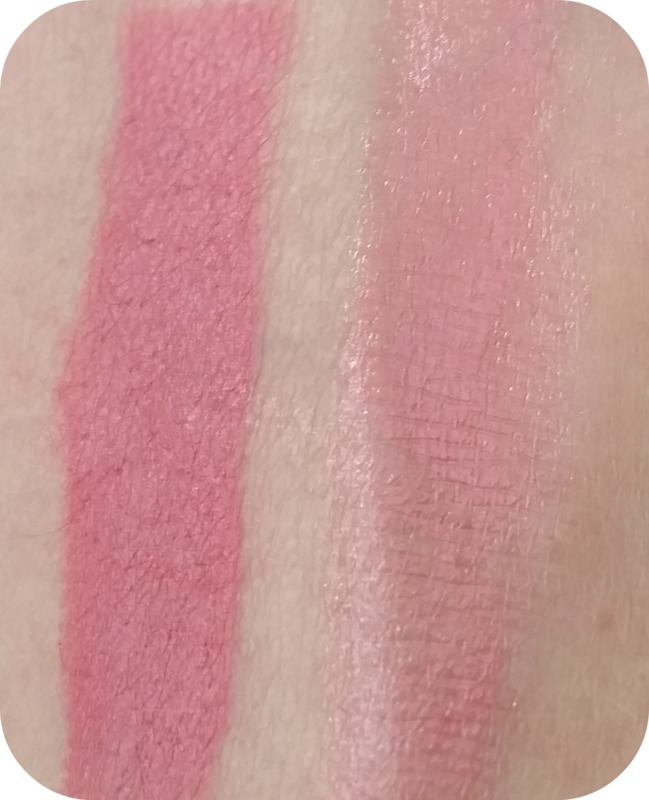 In the bullet I think both lipsticks look similar in colour, however once swatched, you can see that Angel is the lighter of the two. Angel is a soft pink shade with tiny flecks of gold glitter running through it which gives it it's frosted finish. These specks of glitter catch the light which gives it that fake glossy look. On my lips I would say it gives a sheer, yet buildable coverage, which makes it a great everyday lipstick. Please Me on the other hand is a muted rosy pink shade which comes in a matte finish. I'm a big fan of a matte finish recently I think it's because I love how much longer they last, I'm not one for re-applying too often. Even though this lipstick is matte it's not drying on the lips as I think it has a slight creamy texture too. This colour is a great example of the mid tone pinks I've been loving recently. 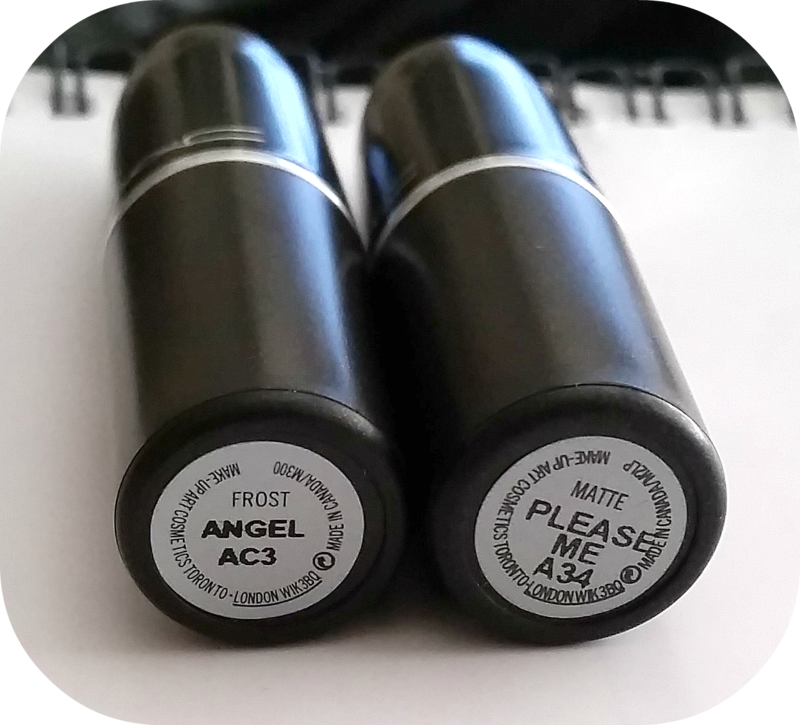 And unlike Angel, Please Me is highly pigmented. 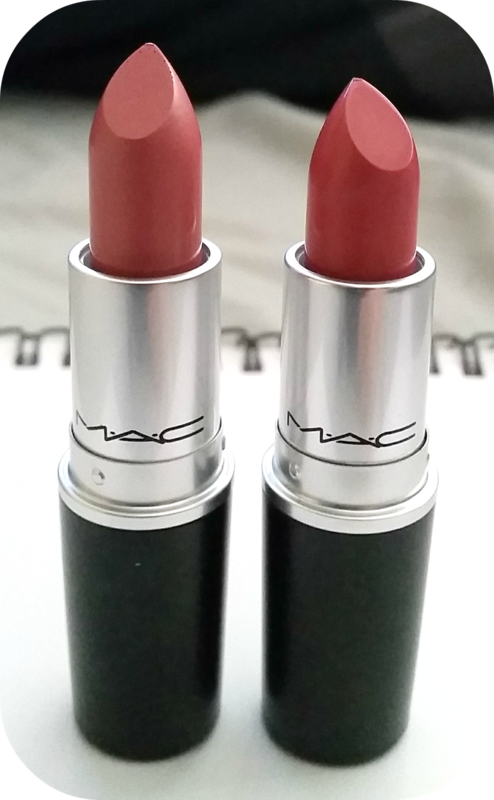 Just a quick note, both lipsticks have Macs signature vanilla scent. Vanilla isn't my favourite scent but it could be worse! These two lipsticks are perfect for both a natural daytime look as well as in the evening when you want more emphasis on your eyes so you can wear more of a neutral lip. I'm already trying to make my mind up as to what will be my next Mac lipstick purchase, so watch this space for a future review! What's your favourite Mac lipstick? Let me know your recommendations.